Teaching Physical Education to Children with Special Educational Needs and Disabilities provides a thorough overview of the challenges and opportunities for inclusion in PE lessons. Combining a theoretical framework with practical strategies for teachers, the title covers a diverse range of issues which teachers need to address to provide high quality learning experiences for children with SEND. 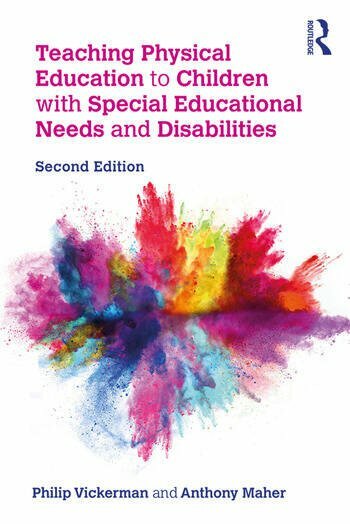 This second edition is grounded in up-to-date research on inclusion and has been fully updated in line with the SEND Code of Practice and Ofsted Inspection Framework. It seeks to demystify the statutory responsibilities placed upon teachers and schools to include children with SEND and offers practical examples of how PE teachers can make use of different strategies to differentiate through their planning and assessment. A new chapter explores the importance of consulting with and empowering children with SEND, and additional focus is given to how teachers can work together with SENCOs and LSAs to develop an inclusive culture in PE lessons. Written in an accessible style with reflective tasks in each chapter, this unique text clearly outlines relevant practice-based evidence to fully include children with SEND in PE lessons. This will be essential reading for teachers and school leaders and will enable PE teachers to plan and deliver inclusive lessons for all children. Philip Vickerman is Pro Vice Chancellor for Strategic Initiatives and Professor of Inclusive Education at Liverpool John Moores University, UK. Anthony Maher is a Senior Lecturer in Physical Education and Youth Sport at Edge Hill University, UK.